Jeanette started her working career as a receptionist, gained promotion to secretary and by the time she reached the position of personal assistant, was already identified as a person who was reliable and ‘got things done’. She was eventually promoted to systems administrator and soon proved herself to be extremely competent, but in order to be considered for further promotion, Jeanette realised she would have to gain qualifications. Being a mum, running a house and holding down a full time job is more than enough for most, but Jeanette ended up attending college one day a week to obtain her degree and going back into work on a Saturday to make up the time for her employer. On top of that she did not have a computer at home so had to go into work at four in the morning to do course work, and return home by six to get the children ready for school before starting her ‘real job’ at eight thirty. Once qualified, Jeanette was head-hunted by a number of organisations and earned the reputation of being honest, committed and most of all efficient at getting projects finished ahead of schedule, finally ending up as IT Systems Manager for ESL Group, in charge of multiple sites between Inverness and Newcastle. Jeanette was made redundant in 1999 when the offshore sector suffered a downturn and made the decision, with the backing of her family and business advisors, to start her own business. Initially working from home, today PCL Group is a total IT service provider to four main industry sectors, Offshore, Marine, Commercial and Industrial and has recently completed work scopes associated with Renewable Energy. In addition to the existing range of products and services offered by PCL Group a graphic and web-design department has been formed to compliment their existing portfolio. Their work includes a number of onshore and offshore based projects working with “blue-chip” companies and are now, setting their sights on the international market. 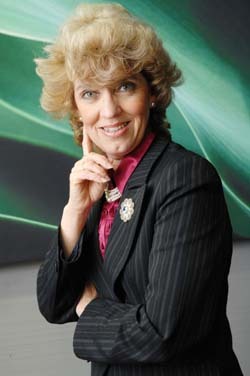 Jeanette Forbes has achieved a significant amount of local and national industry awards throughout the 11 years she has been in business and is recognised as a leading woman in the field of Science, Engineering & Technology winning the Prowess award for SET in 2008 for the UK followed one year later by receiving the award for Enterprising Woman for SET for the UK in 2009. Jeanette is a partner of the Women into ICT project with Aberdeen College. Firmly believing that PCL Group should put something back into the community from which they take a living. In 2008 Jeanette was selected and awarded by the Scottish Chambers of Commerce and the First Minister Alex Salmond as a “business champion” for the mentoring program and is currently mentoring 3 fledgling companies. Jeanette Forbes is a management team member of ACSEF Aberdeen City and Shire Economic Forum working with the business leaders of today to shape the city and business community for tomorrow and encourage entrepreneurial excellence. She was made an honorary member of the Nautical Institute last year for her work associated with the marine industry and was received as a Burgess of the City of Aberdeen in December 2010 by the Lord Provost. Jeanette Forbes is a core team member of Aberdeen 1st and more recently became chair and trustee to the Aberdeen Seafarers Centre.